The CGSA Snack Bar Needs your Support! All parents are encouraged to help in the Snack Bar. Need School Volunteer hours? For each volunteer session, you receive a free meal and a ticket for a free registration raffle each season. It's a great deal! Check out the Corona Diamond Classic page that includes tournament information. All fundraiser money is to be turned in by April 22nd. That means you still have time to be eligible for the BONUS!!!! See the Team Parent page for more information. CELEBRATE GRANDPARENTS DAY WITH CGSA!!!! Saturday April 20th is Grandparents Day at CGSA. We honor not only our CGSA grandparents but also those special people who come out and show their support to our players. Each team will be showing their appreciation in their own special way. We appreciate all who support CGSA! GRANDPARENTS DAY SPECIAL GUEST - KONA ICE!!! Make sure to visit the Kona Ice truck on Grandparents Day! The Snack Bar is now serving Miguel's burritos!! We are Corona Girls Softball Association (CGSA). We welcome girls from ages 4-18 years of age. We encourage all girls from beginner level to advanced level to join our league. By joining our league girls will learn sportsmanship, athletics, self-worth and what it means to be part of a team all while having fun in a safe family-friendly environment. 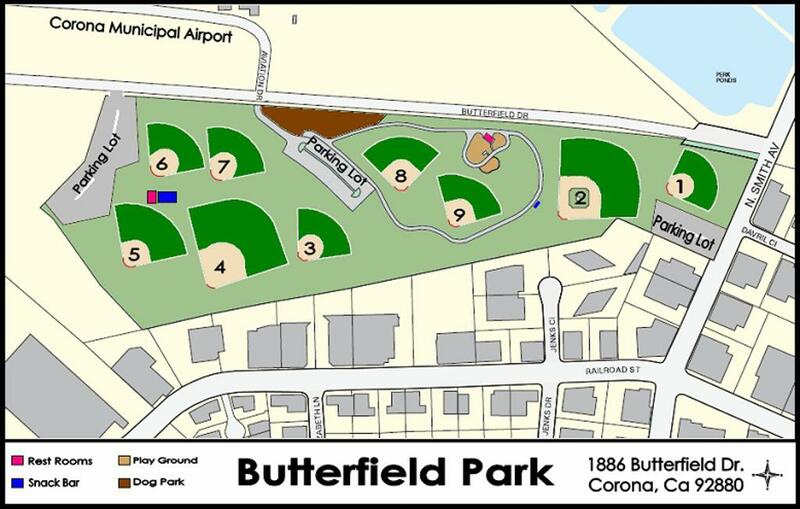 Our home field is Butterfield Park located at 1886 Butterfield Dr. Corona, CA 92880. 8u Select Team wins 1st Place at the La Mirada Slugging for Santa Tournament! Congratulations!!! Are you friendly, outgoing and approachable? Then the CGSA board would love for you to join!! Interested in volunteering for field maintenance? Our 2018 All Star teams received recognition for their achievements this All Star season at the August 15, 2018 City Council Meeting. Congratulations to all the players, managers, coaches and parents on a great All Star season! 2018 Mid Season Pink Out Tournament Winners !! Congratulations to our 2018 All Star Teams! We are so proud of all of you!